A couple days ago we told you to get ready because the amazing tower defense game Fieldrunners HD would be dropping in the Android Market well... today. 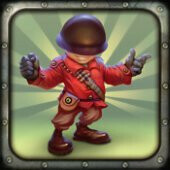 Obviously that hasn't happened, and now Fieldrunners developer Subatomic Studios is explaining why the game will be exclusive to the Amazon Appstore for two-weeks. The thing was that Subatomic Studios had always wanted to offer Fieldrunners HD for free on launch day, and then set the standard price of $2.99 after that. Unfortunately, Google doesn't allow free apps to be changed to paid apps. A developer would have to completely remove the free app from the store and post a new app with the price increase, meaning the Market links that spread through news feeds wouldn't work after day one. As a compromise to this limitation Subatomic decided to launch the game at 99 cents in the Market and then raise the price as planned on day two. That's when Amazon stepped in and offered Subatomic the ability to launch the game for free on day one as they had wanted. So, that's what Subatomic is going to do, and Fieldrunners HD is said to hit the Amazon Appstore "soon". The trouble with this plan is two-fold. First, the Amazon Appstore isn't available outside of the US, and even within the US, it doesn't work on most AT&T Android phones, because AT&T has only recently begun to allow sideloading of apps. Secondly, Amazon gets a two-week exclusive in offering Fieldrunners, so all of those users who can't use the Amazon Appstore have to wait in order to get the game. Which do you guys think is the better option? Launching the game free on day one, but being exclusive to Amazon for two weeks, or launching the game worldwide in the Amazon Market, but at 99 cents on day one? You forgot to mention GetJar. Look at how Cut The Rope launched. Everyone's happy there. What's this obsession with the developer of this game wanting to release it for free anyway? Something sounds decidedly odd with that. And not only are they now pushing it for free, they've upset a giant segment of people who would have had no qualms payong for it on Android Market where it belongs. Amazon and NVidia are both doing more harm than good with the Android platform.